The Solo 110 Access Pole offers safe access to detectors installed at heights of up to 3 metres. Solo poles should always be held vertically when raising or lowering. Ensure that all extension poles and test tool buttons are locked into position before extension and use. 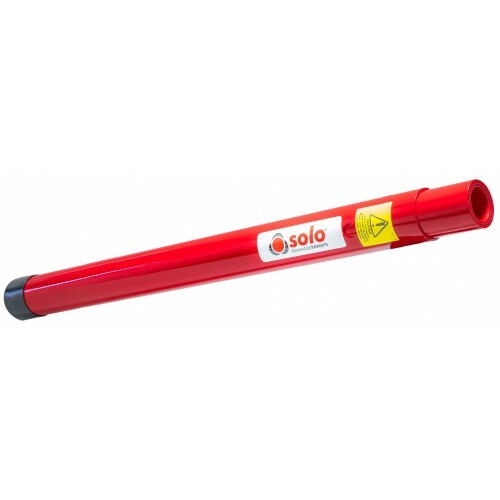 The maximum working height using Solo 110 & Solo 111 poles is 4.5 metres for Solo and Testifire. This is achieved using 1 x Solo 110 telescopic pole and a maximum of 3 x Solo 111 extension poles. It is recommended to stand directly under the detector.